Love pasta, but trying to eat lean or limit your sugar and carbs? Need more veggies in your life? Then it just might be time for you to try making veggie noodles! Veggie noodles (or Voodles, as we’ve heard them called) are a great way to increase the nutritional content of your pasta dishes, while reducing calories and glycemic load. You can use them with your favorite pasta sauces and salad dressings, and if you want to try new flavors, a quick Google search will reveal all kinds of creative and tasty recipes that call for veggie noodles. 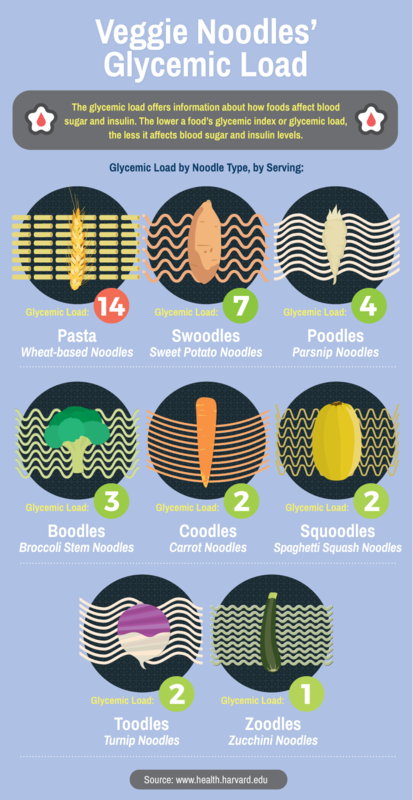 Check out these infographics to get the 411 on veggie noodles. Then try your hand at a few of the recipes included below! 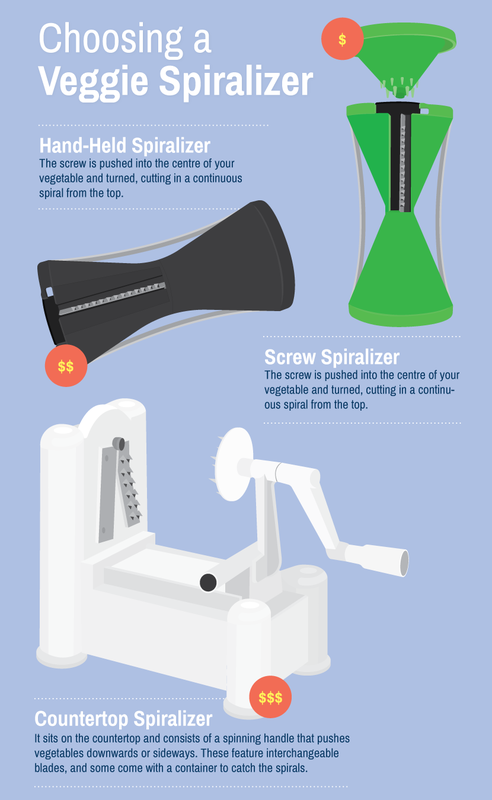 And here’s a special shout-out to Fix.com, who created these infographics for Food & Wine Magazine and kindly let us share them with our readers. Need ideas? Here are some veggie noodle recipes to get you started! Bon appetit! Disclaimer: This article is not intended to replace medical advice. If you have questions or concerns about your dietary needs, we encourage you to contact a nutrition professional.